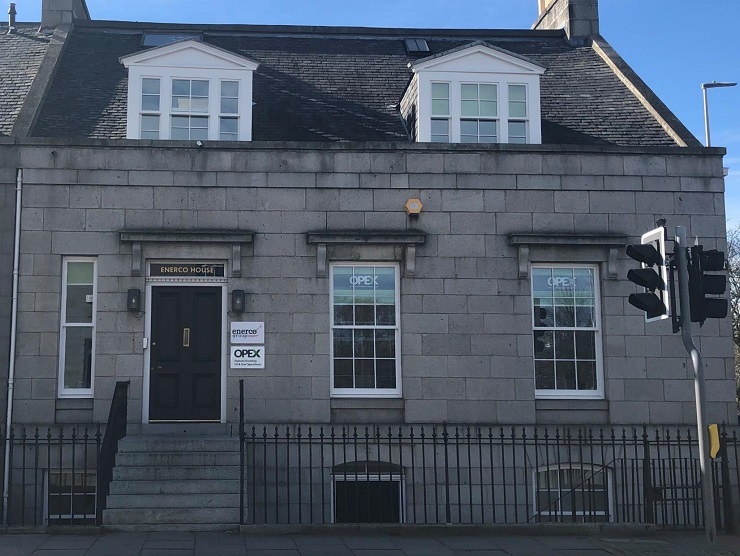 Shepherd Chartered Surveyors is marketing office premises to let on a prominent corner location in Aberdeen’s prime West End due to client relocation. Finished to a high standard, the 2,935 sq ft premises occupy a prominent corner at the Albert Street Junction with Carden Place. The property is well located to provide easy access to Union Street, Aberdeen principal retail and commercial thoroughfare. In addition the city’s inner ring road system is easily accessible via Anderson Drive to the west. The quality office accommodation is arranged over lower ground, ground and first floors with storage provided at attic floor level. The modern office accommodation is finished to a high standard and there is a large kitchen area along with male, female w.c. and shower facilities providing ready to occupy space to occupiers. The furniture as presented in the accommodation is available by separate negotiation. Dedicated car parking for 17 vehicles is provided to the rear. Offers over £65,000 pa are invited. Interested parties should contact the sole letting agent on 01224 202800. For further information please contact Mark McQueen at Shepherd Chartered Surveyors on 01224 202800.